04-127 Clutch Kit: Lumina, Cutlass Supreme, Grand Prix 9-5/8 in. 04-171 Clutch Kit: 6.0L Chevrolet Silverado, GMC Sierra - 11-1/2 in. 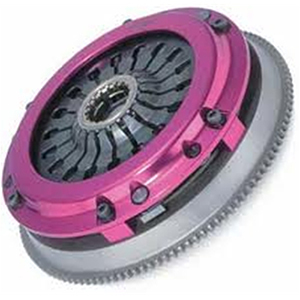 04800 Exedy Stage 1 Organic Racing Clutch Kit: Cavalier, Malibu, Alero, Grand Am, Sunfire - 8-7/8 in. 05-146 Clutch Kit: Mitsubishi Lancer ES OZ SE 2.0L - 8-7/8 in. 05-213C Clutch Kit: Mitsubishi Fuso FH211 L6 5.9L Turbo-Diesel 11.8 in.